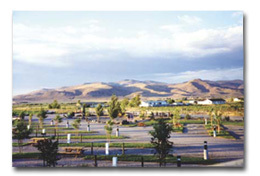 Days End RV Parkis centrally located in the heart of the historical Standish, California. You will be amazed at the beautiful views of the Sierra and Cascade Mountains and the amazing colorful sunsets. Days End RV Park is located near abundant hunting and fishing. California Quail, wild horses and other critters are native to this area. Days End RV Park has become a favorite stop for the discerning guests who leave pleased. The owners are lifetime residents of this area and are a great source of information for events, outdoor recreation and points of interest in Lassen County. Pet's accepted. Large enclosed pet area making it possible to play with your pets off leash.